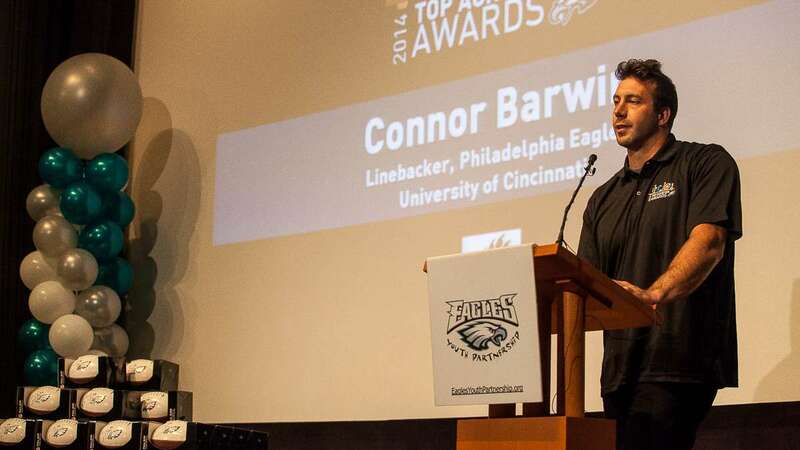 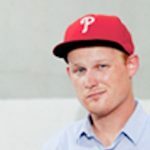 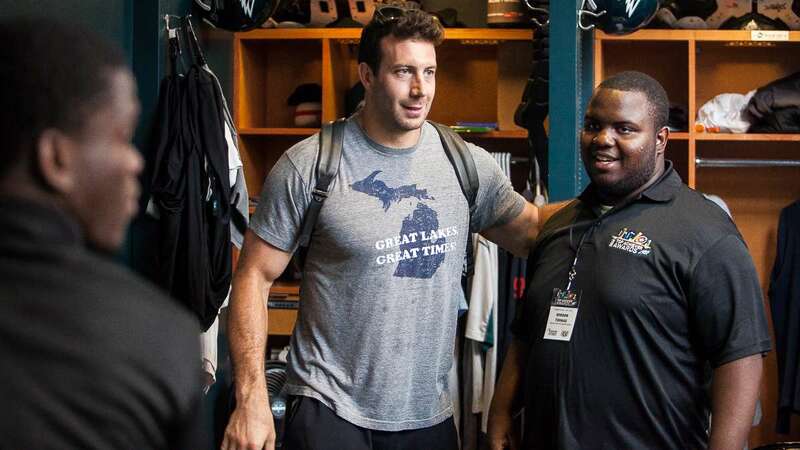 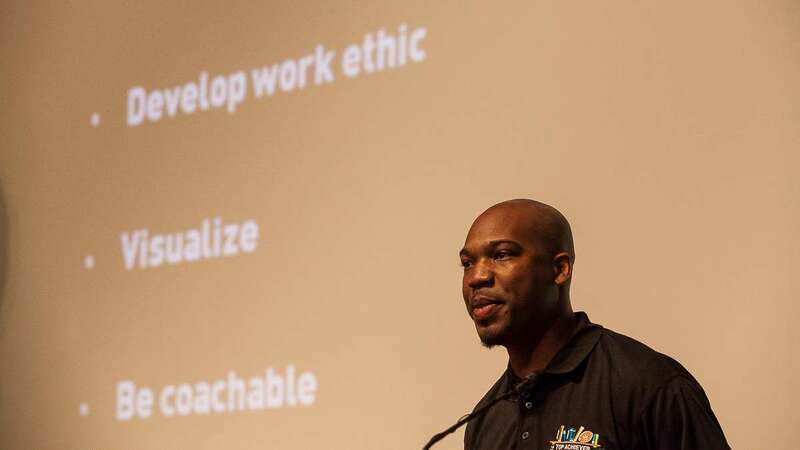 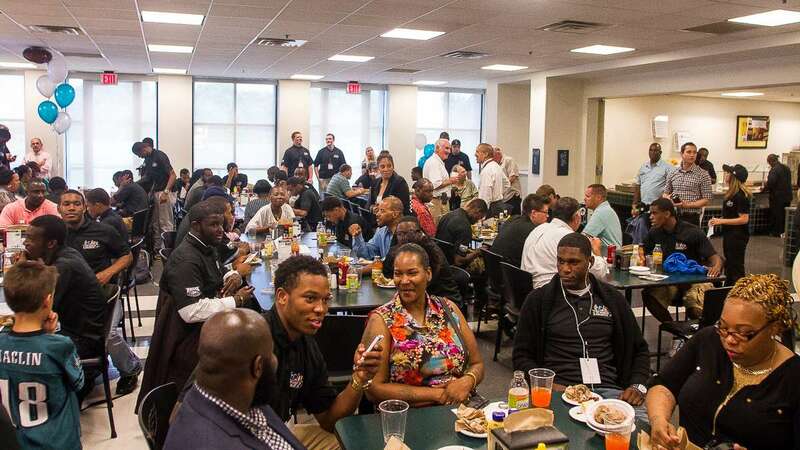 The Philadelphia Eagles honored high-school football players from Northwest Philly and beyond at its 18th annual “Top Acheiver Awards” ceremony held Tuesday night at the team’s NovaCare Complex training facility. 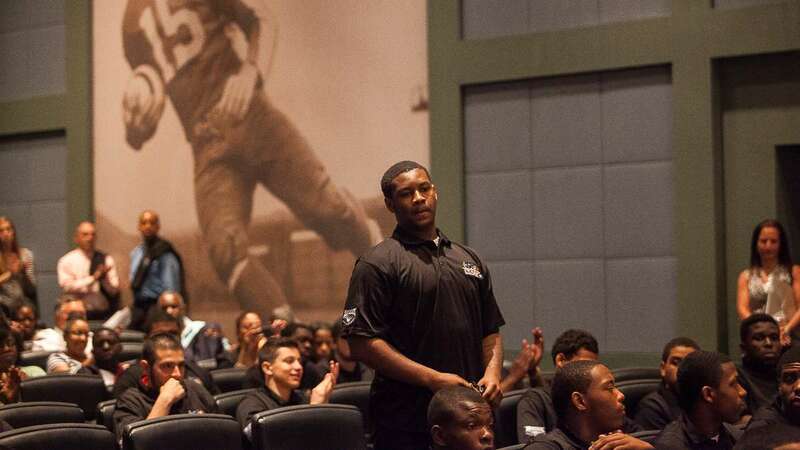 Nine of the nearly 100 players honored for maintaining a 3.0 or higher grade-point average during the football season came from Imhotep Institute Charter High School (4), MLK High School (3) and Mastery High’s Pickett Campus (2). 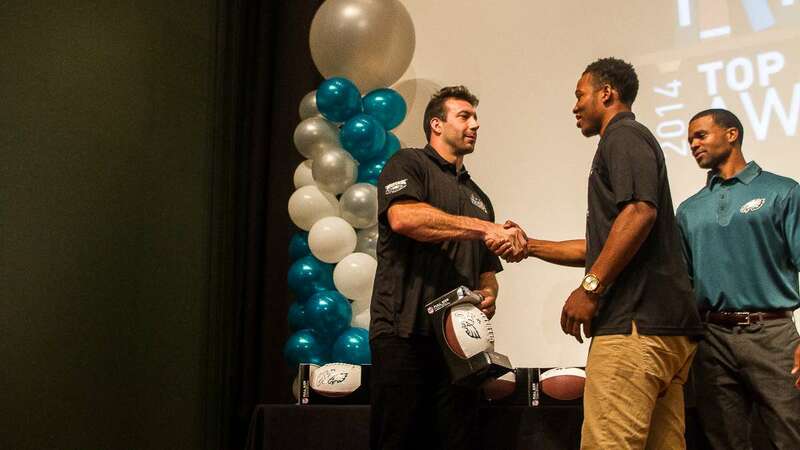 Each student-athlete received an Eagles Top Achiever certificate and polo shirt, an autographed football, a group photo and a tour of the NovaCare Complex Eagles locker room. 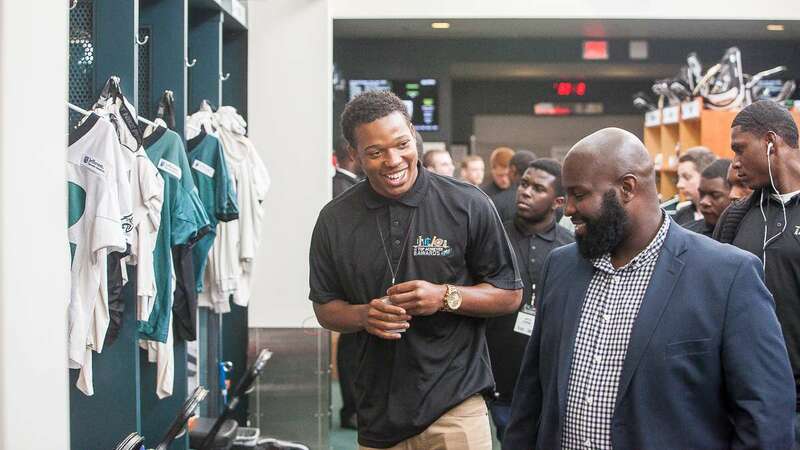 Since 1997, the Eagles Youth Partnership as recognized more than 1,200 Top Achievers. 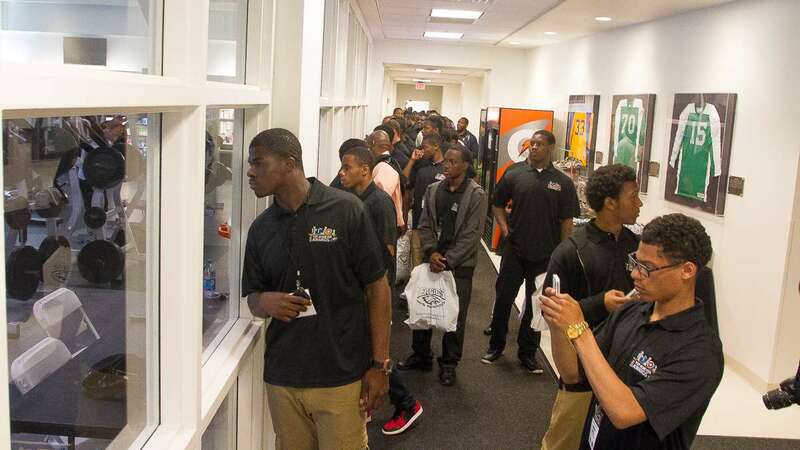 Local players honored included Kalihf Clemons, Gordon Thomas, Jaquan Watson and Michael Williams from the Imhotep Panthers; Damon Brinkley, Delane Hart and Joe Walker from the MLK Cougars; and Idris Mateen and Taqee Ross of the Mastery Panthers.